Crystal awards and trophies are a classic in award giving, and the first thing people often think of when planning an award event. As the leading maker of custom awards in Australia we can offer a huge range of crystal award designs. Crystal trophies and awards are often an economical and flexible option for your award needs. Depending on your order, crystal products generally have lower costs and shorter lead-times as crystal blocks come in a variety of different pre-cut polyhedral shapes. All our crystal awards come in presentation boxes and are finished to the highest standard. This is all a part of the Design Awards service, ensuring your ceremony has an added touch of sophistication to properly reward your award recipients. The flexibility of crystal means it is perfect for a business or corporate event, sports clubs and more. Make your end of year award ceremony special with custom made trophies for your employees or club members. We don’t mass produce any of our our trophies however we want to also mention that crystal awards are the only awards we do not make on site. Because we are dedicated to bespoke creations, we have a number of our own crystal designs which are sourced from an exclusive supplier. Our commitment to bespoke work is what sets us apart so we actively ensure our crystal awards are of fantastic design and top quality. 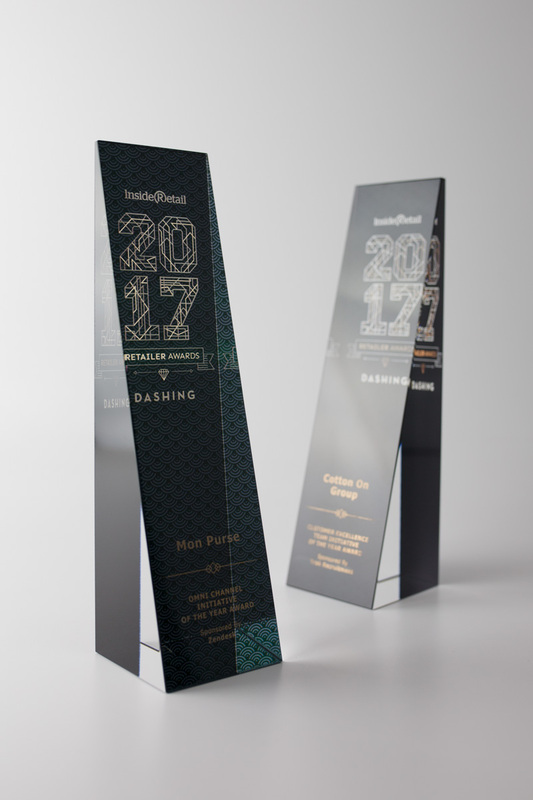 We have created trophies, plaques and awards for some of Australia’s biggest companies, each one showcasing exceptional workmanship and design excellence. Get your custom crystal trophy made today. Discover more about our awards by calling either our Melbourne location on (03) 9555 0350, or our Sydney office on (02) 9439 7144. We will be happy to answer your questions and queries to help you choose the best material and design for your crystal awards and trophies. You can also leave your details in our contact form to request a quote and we will be back in touch as soon as possible.